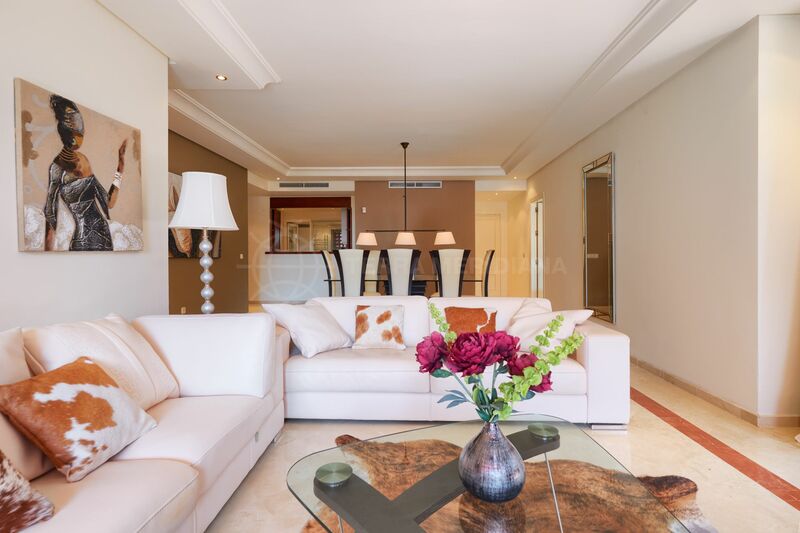 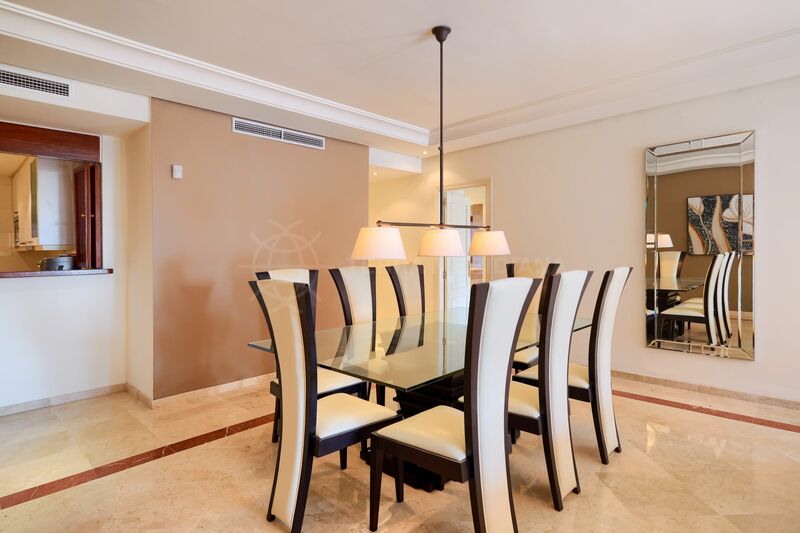 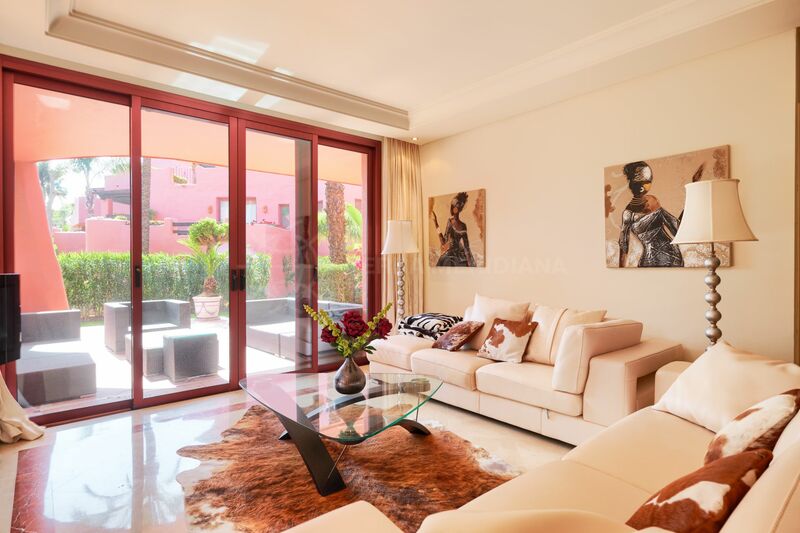 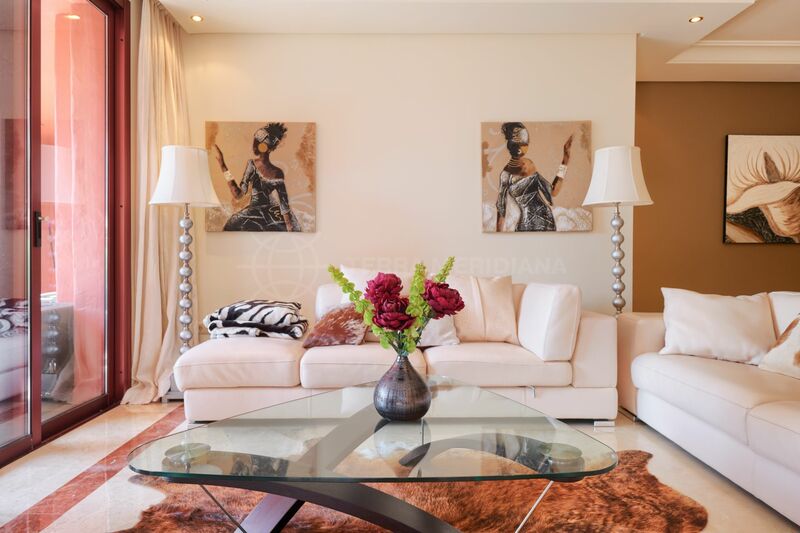 Ideally located in the stunning complex of Menara Beach which offers some of the most scenic views of the coast, this south facing apartment is awash in natural light and showcases modern living and design. 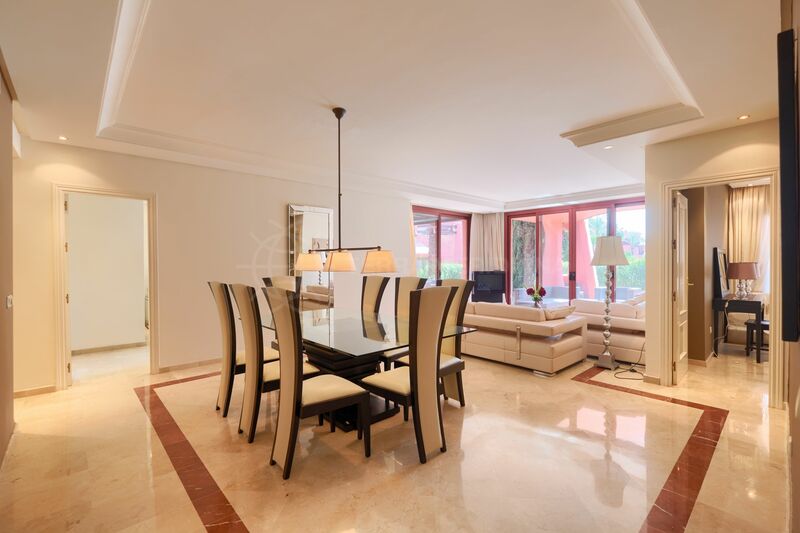 On entering the home, there is a hallway, an open concept living space with a bright and a sunny living/dining room with marble flooring which connects to the sheltered terrace and garden. 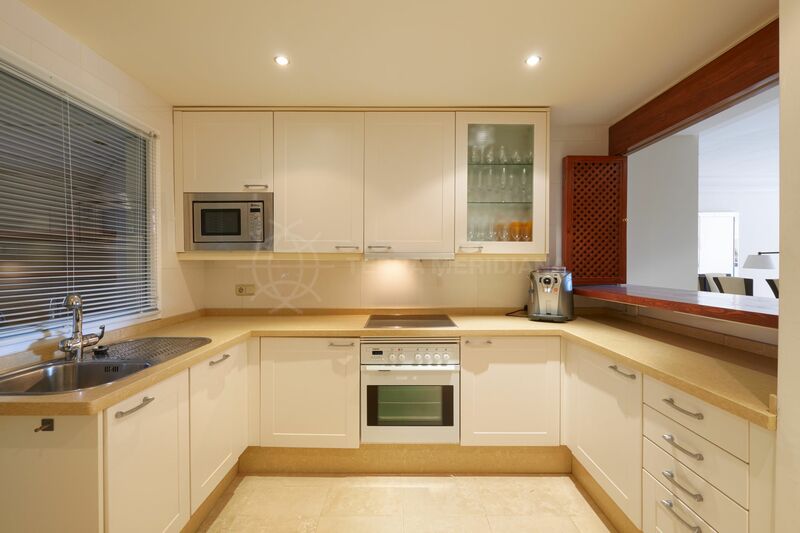 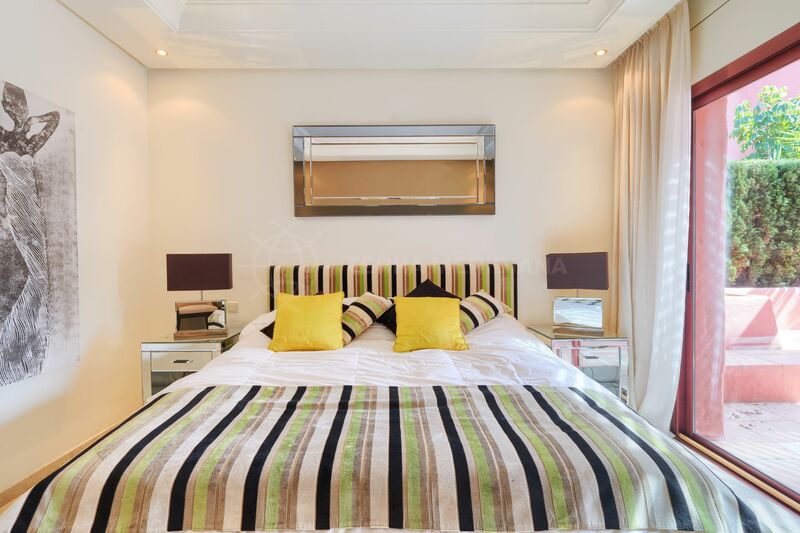 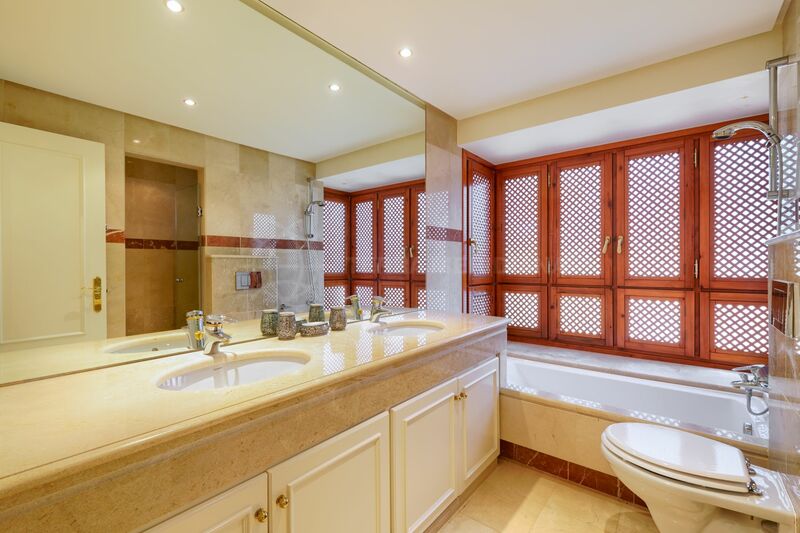 There is a fully fitted kitchen with Balay appliances and laundry area, a spacious master bedroom suite, a double guest suite and an additional bedroom and a separate bathroom. 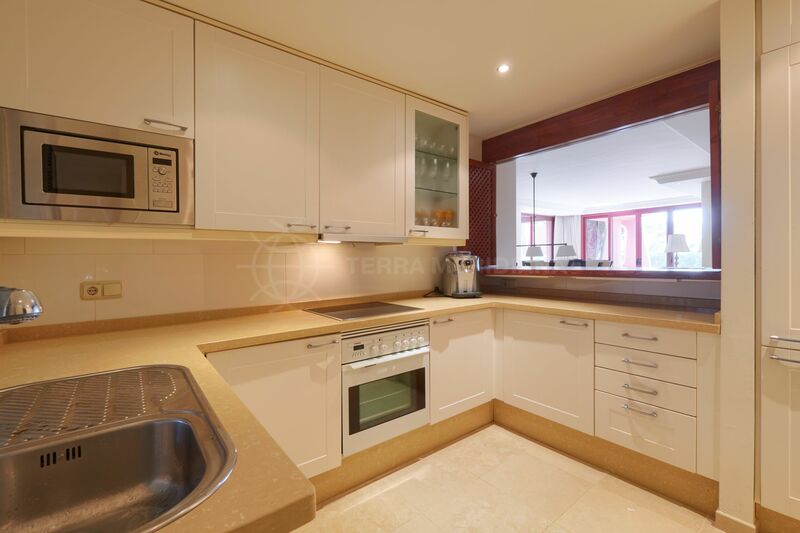 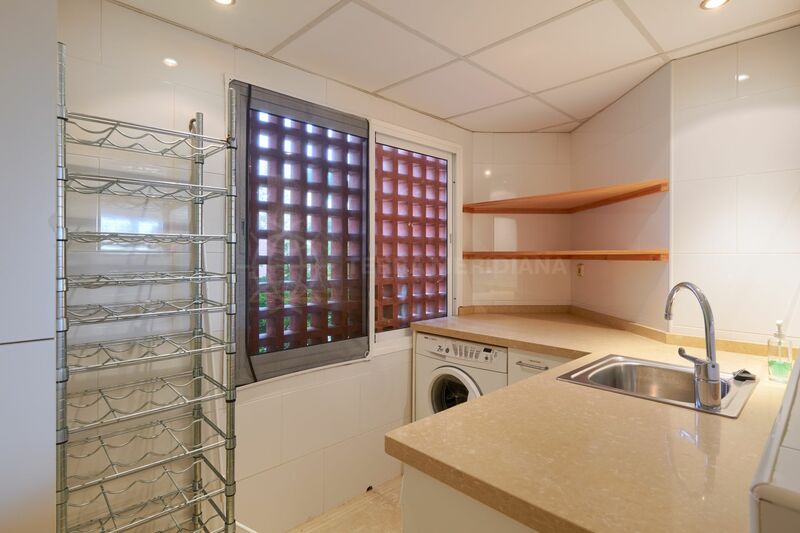 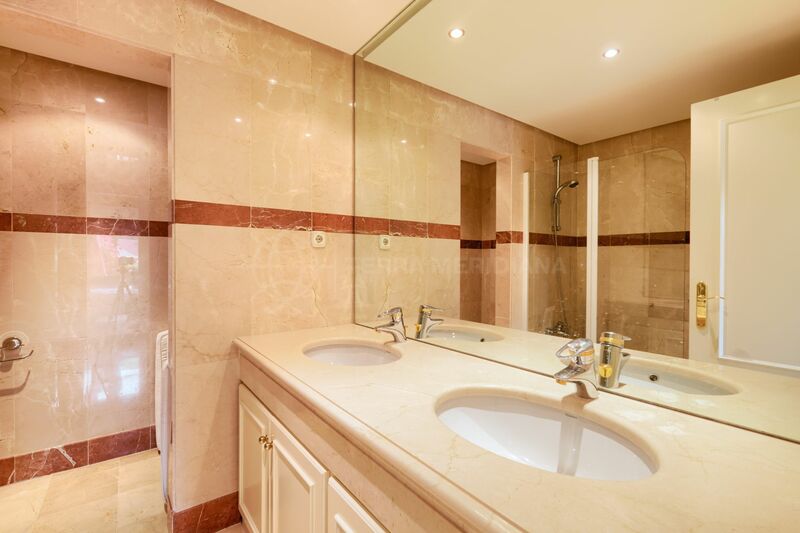 Noteworthy features include underfloor heating, an alarm, a parking space and storage room. 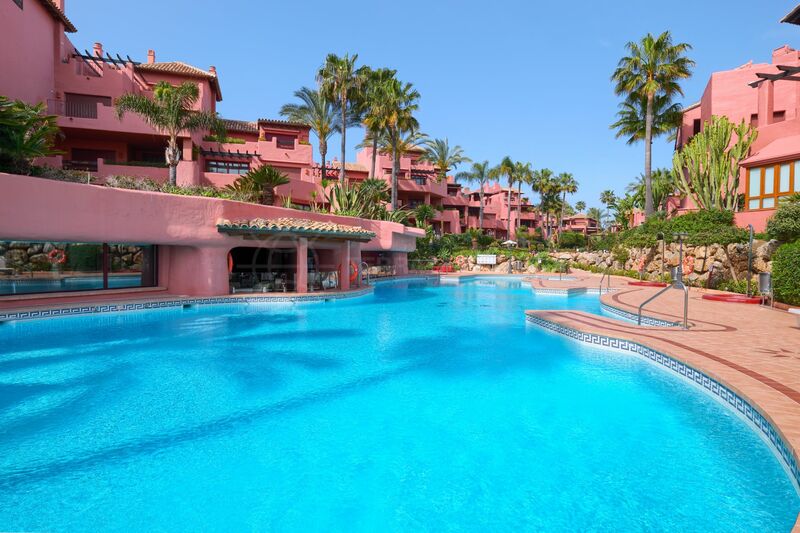 Menara Beach resonates with Mediterranean influences and showcases immaculately maintained sub-tropical gardens with streams and ponds, direct access to the Guadalmansa beach, 2 large swimming pools with waterfalls, a heated indoor pool, sauna, gym, library, summer bar recreational area and 24hour gated security. 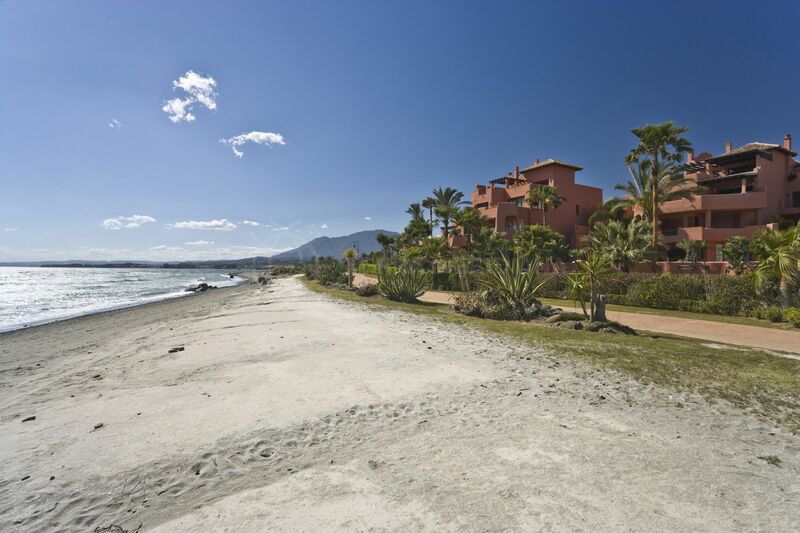 Within walking distance of TikiTano Beach Restaurant & Lounge and shops. 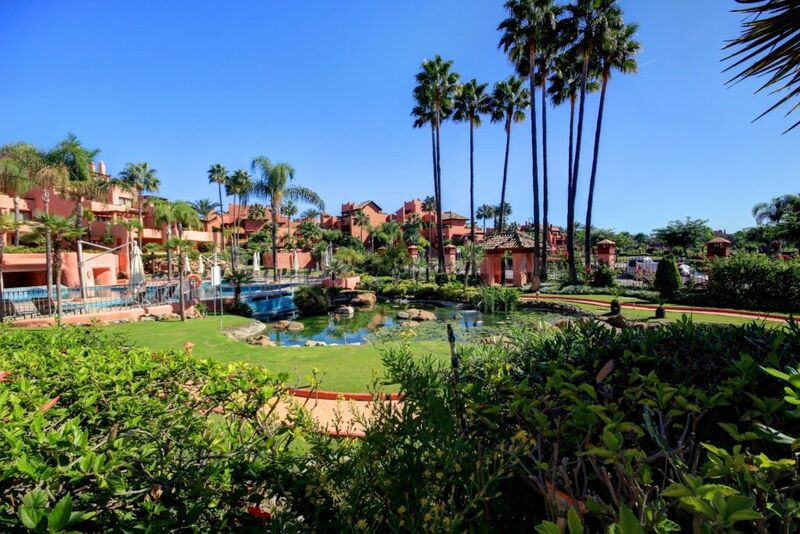 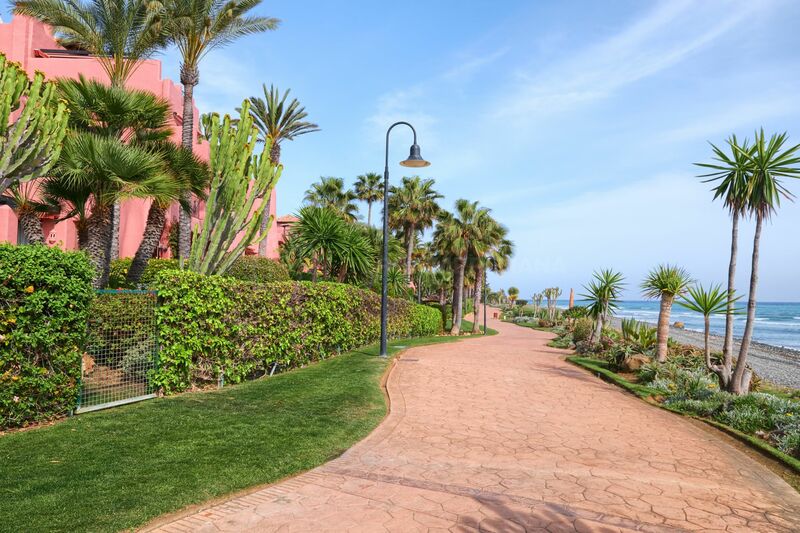 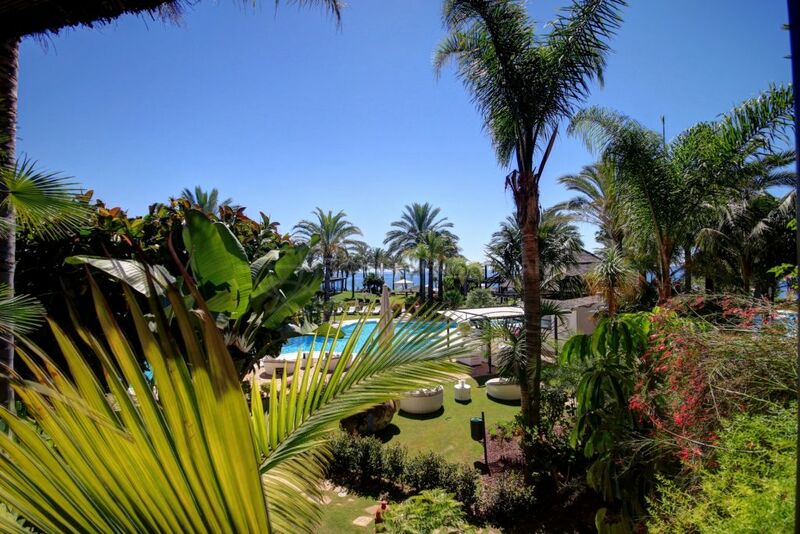 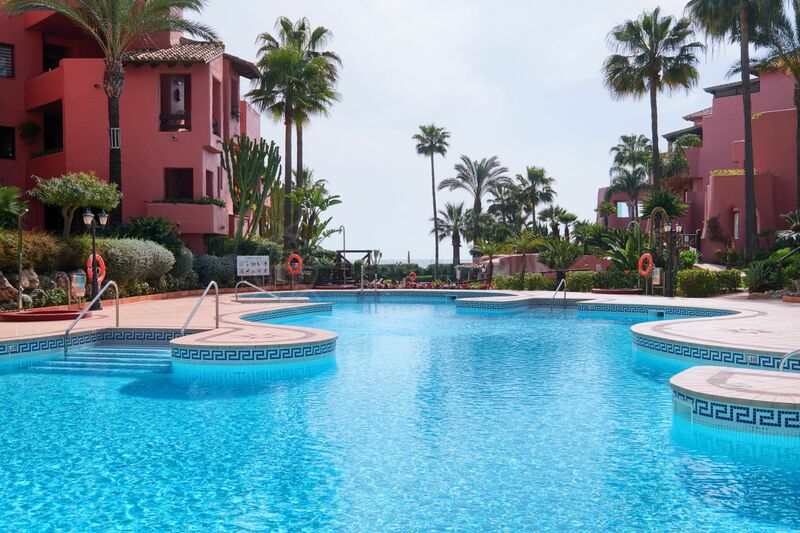 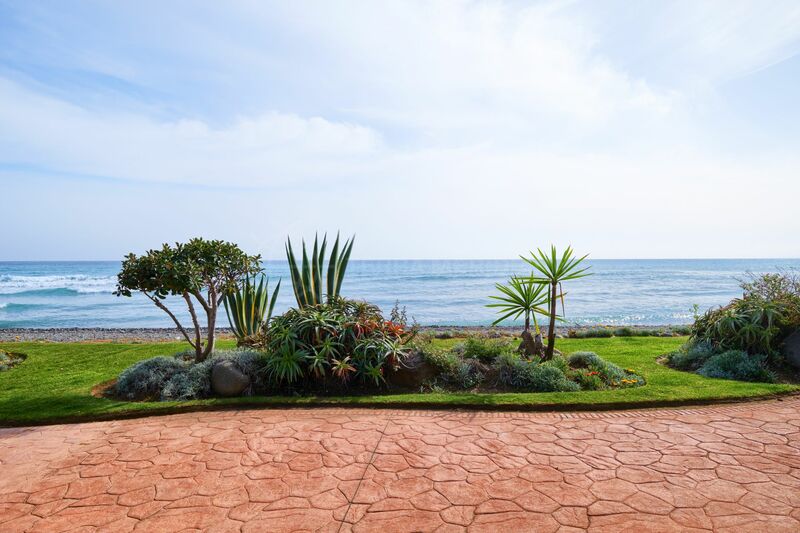 Menara Beach is situated on the New Golden Mile halfway between Estepona and San Pedro and is close to a multitude of amenities and outdoor family activities including golf, watersports, tennis clubs, hiking and horse riding. 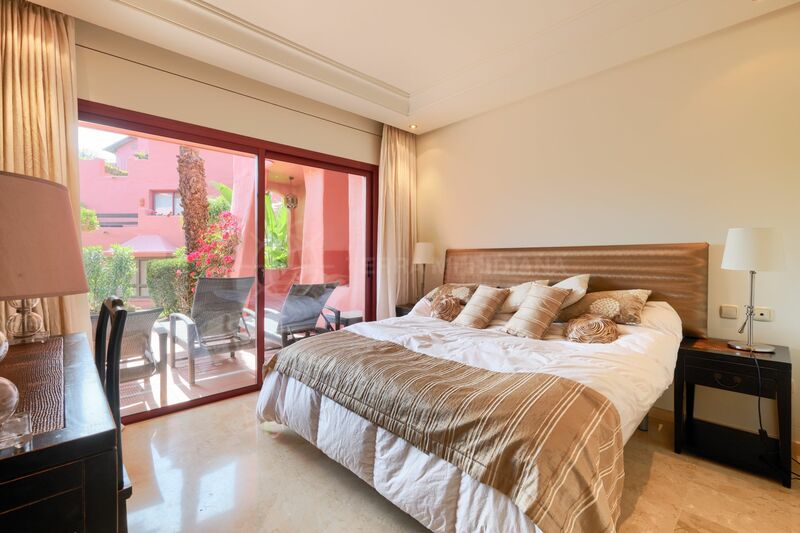 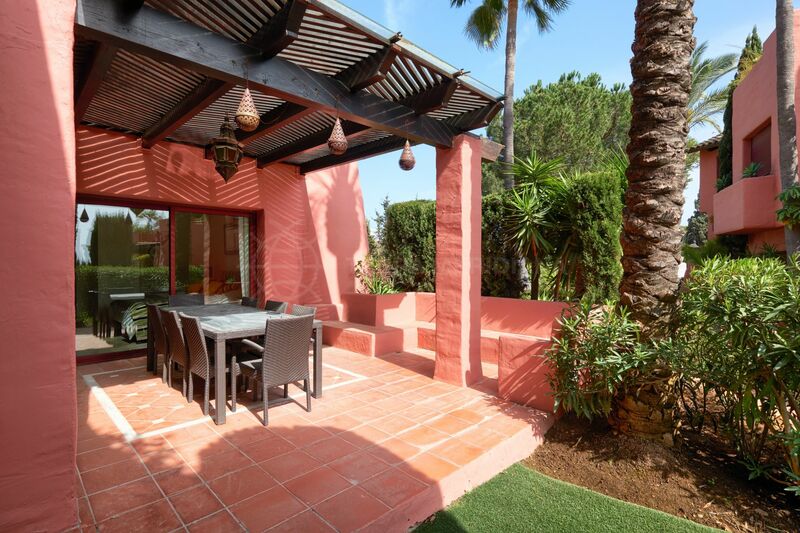 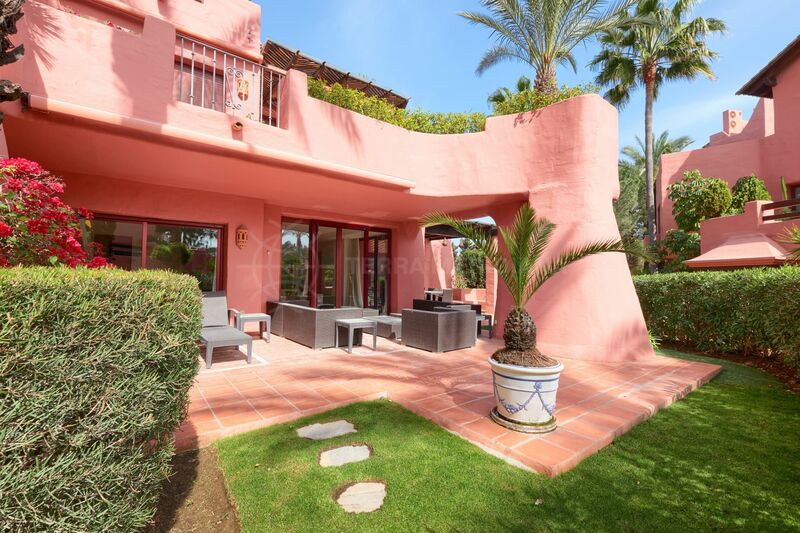 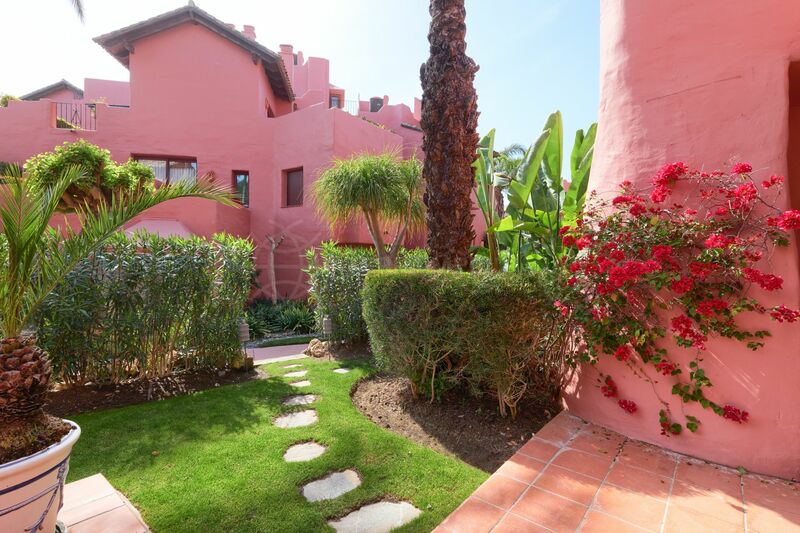 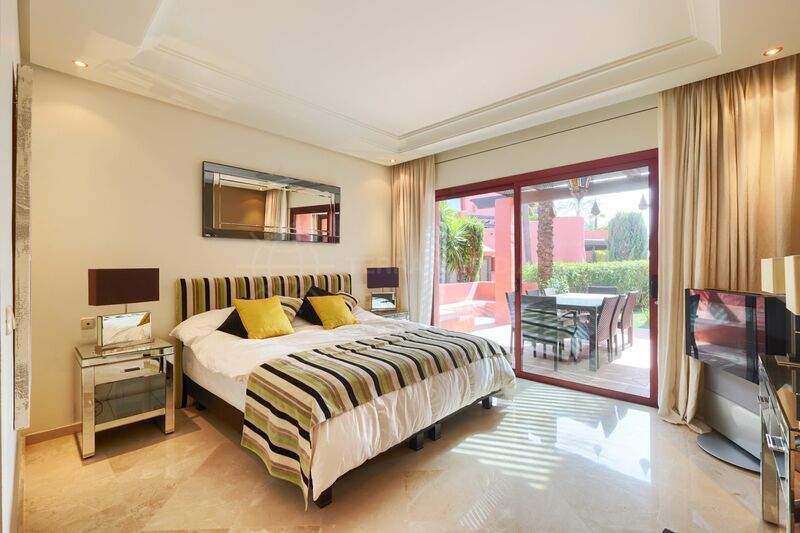 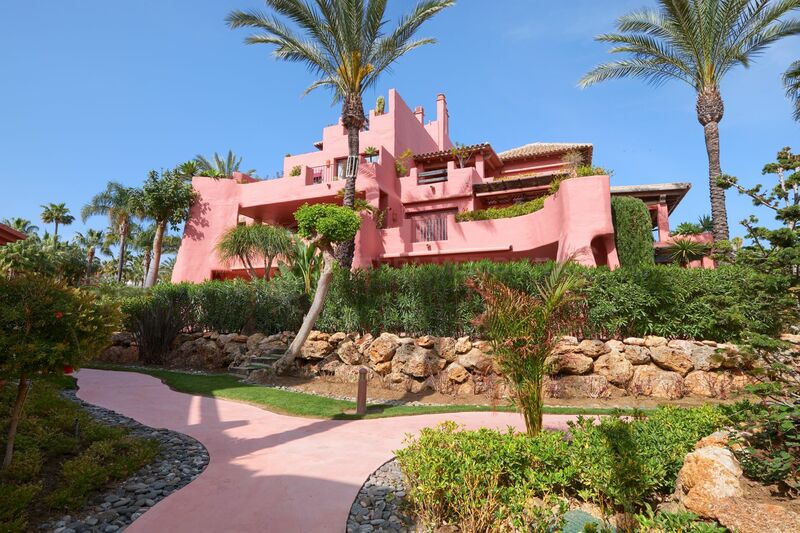 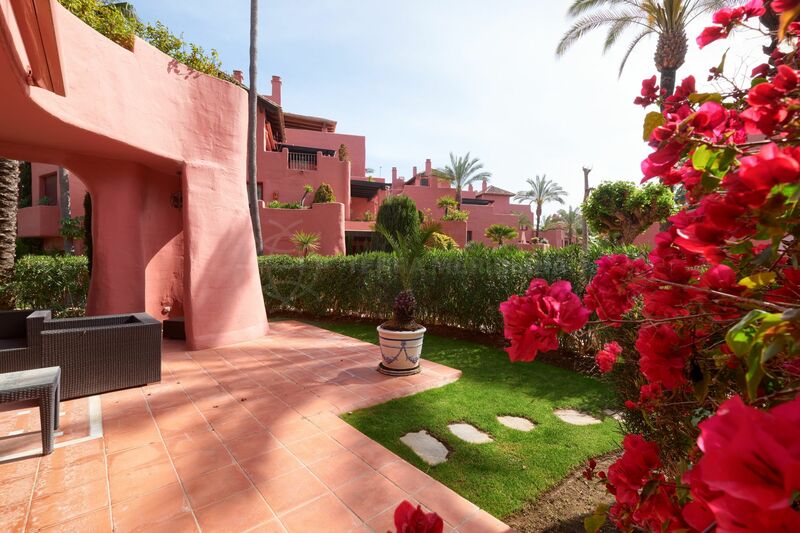 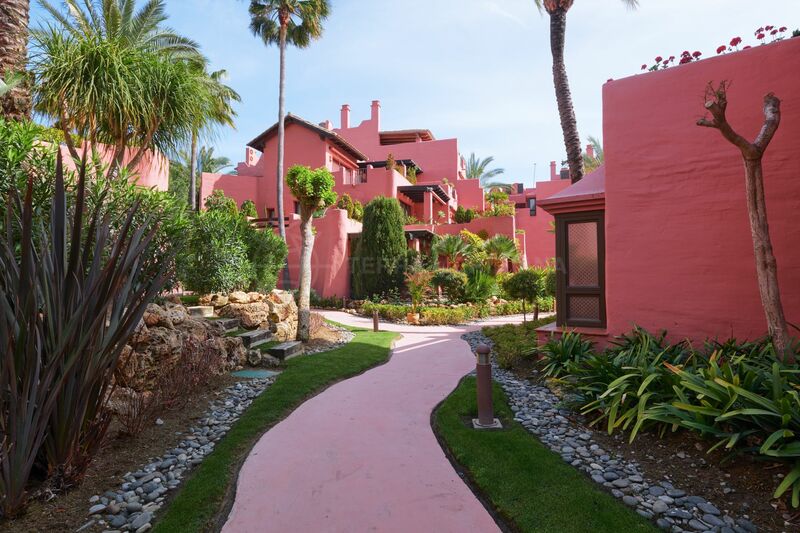 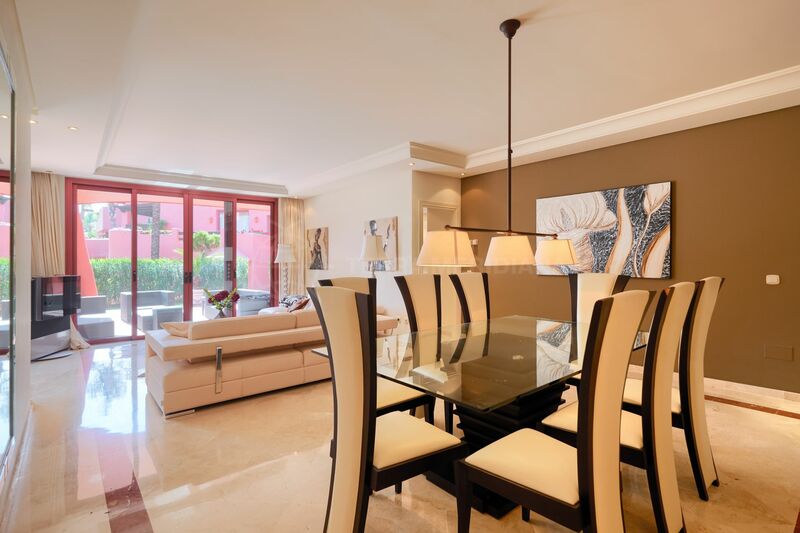 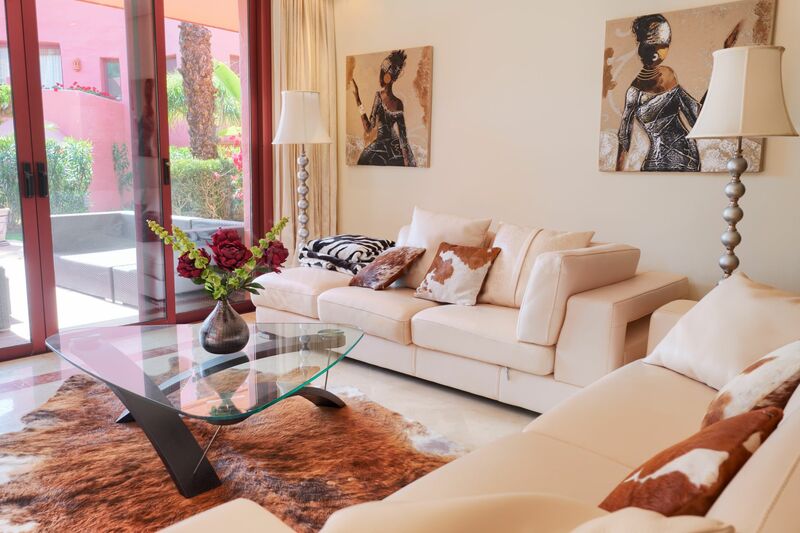 "A perfect combination of seaside luxury and international Costa del Sol lifestyle." 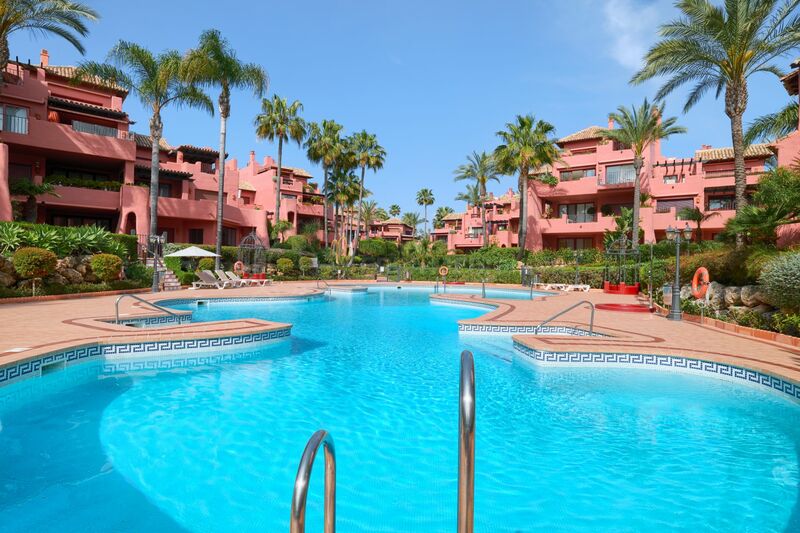 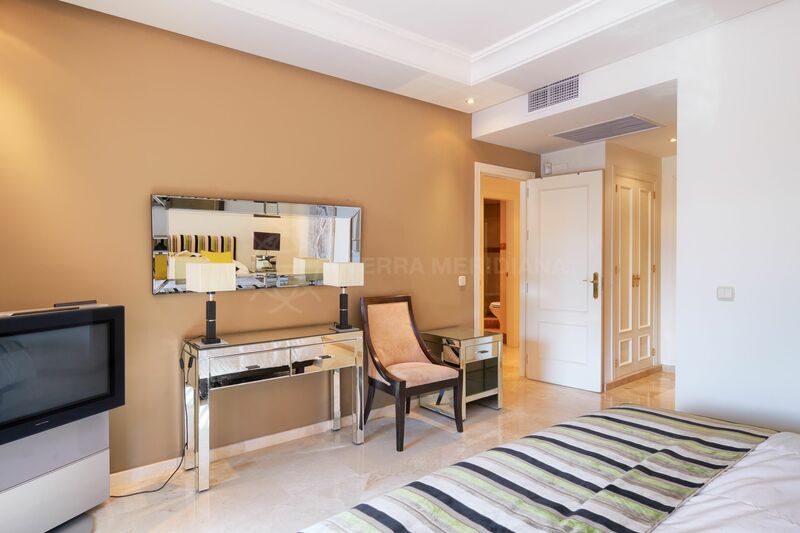 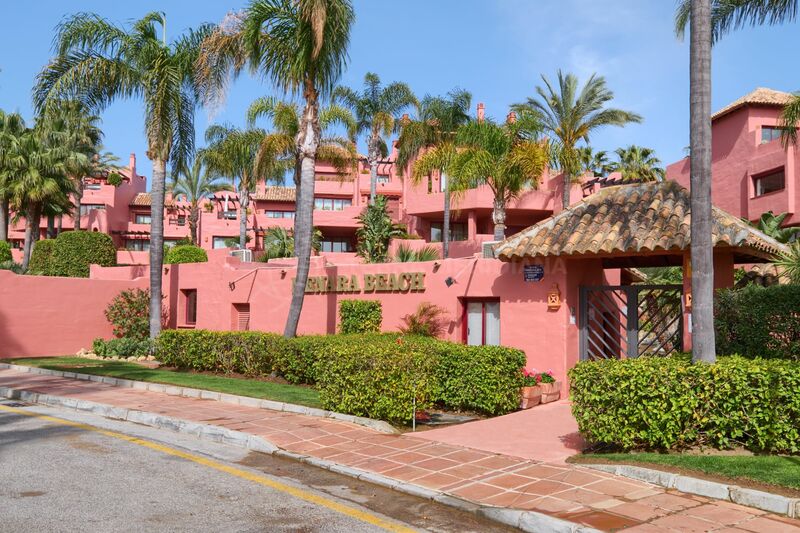 Please, send me more information about ref TMXA1021, Ground Floor Apartment in Menara Beach, Estepona or similar properties.